Looking for more nicotine? Click here. I liked it that you sell mistic electronic cigarettes my mother is alive cause of these cigarettes. They are good when they work. I paid thirty dollars and normally would not mind but 5 cigarettes were not good they were empty. This has become a pattern with mistic cigarettes. Its not your companies fault but hated to lose that many for this reason i gave only s 3. 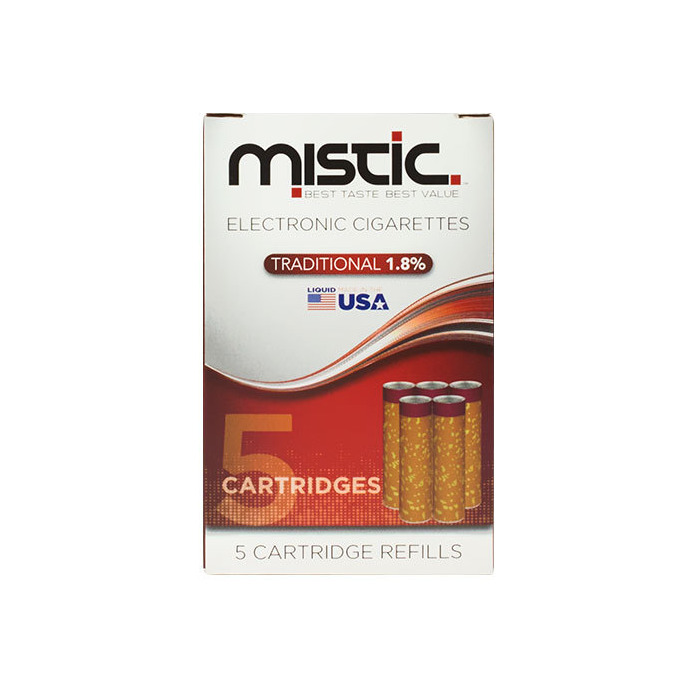 I totally love my Mistic E-Cigarette! It is so satisfying and completely takes away that urge to smoke. I love it, it's the best I have ever used! The evidence is my reorders!! Love my Mistic!!! Very satisfied with my cartridge refill. So happy they still carry them and the representative was super helpful. The cartridges have the full-bodied tobacco flavor that I prefer.